A file extension is a character set assigned to every file at the end of its name. These set of characters or file extensions are used to determine which program or application can open the file. File extensions of known file types are hidden by default in windows due to system security reasons. However Windows 7 has an option to display known file extensions by making a small adjustment in folder options. 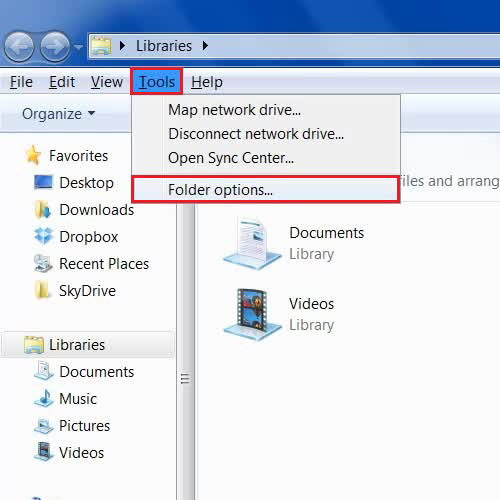 This tutorial will show you how to enable the Windows 7 display of file extensions using the folder options. In this tutorial, we will guide you on how to show file extensions in windows 7 using different methods. First of all, go to the “Start” Menu, open the “Control Panel” and click on the “Folder Options” to open it. 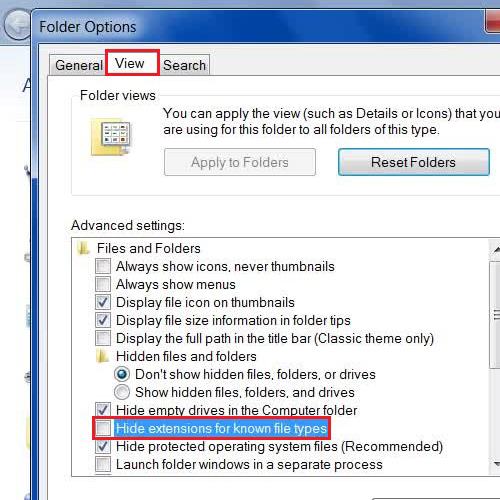 Once the “folder options” panel opens, move over to the “View” tab, deselect the “Hide extensions for known file types” option and click on the “OK” button to save these settings and exit. Now you can see the file extension of every file along with its name. Alternately, you can open up the “Start” Menu, type in “Folder Options” in the search box and click on its icon from the menu to open the Folder Options Panel. 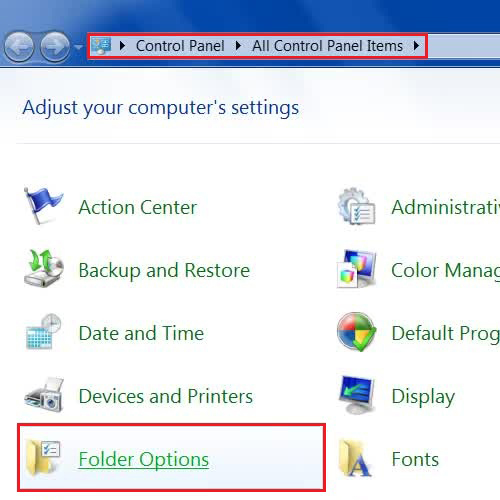 Once the Folder Options are open, you can adjust the required settings so that Windows 7 display of file extensions that were previously hidden is now possible. There is another way to open the Folder Options. First open Windows Explorer by searching it from the “Start” menu. Once windows explorer is open, press the “ALT” key on the keyboard to display the “File” menu. Now move over to the “Tools” menu and click on the “Folder Options” from the list to open it. 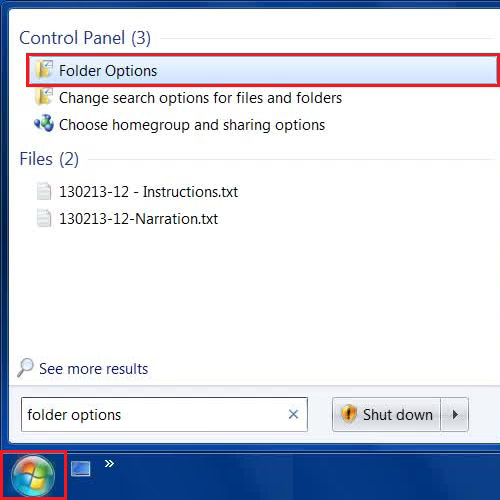 From here now by adjusting the relevant settings you can show file extensions in Windows 7 which were previously hidden.